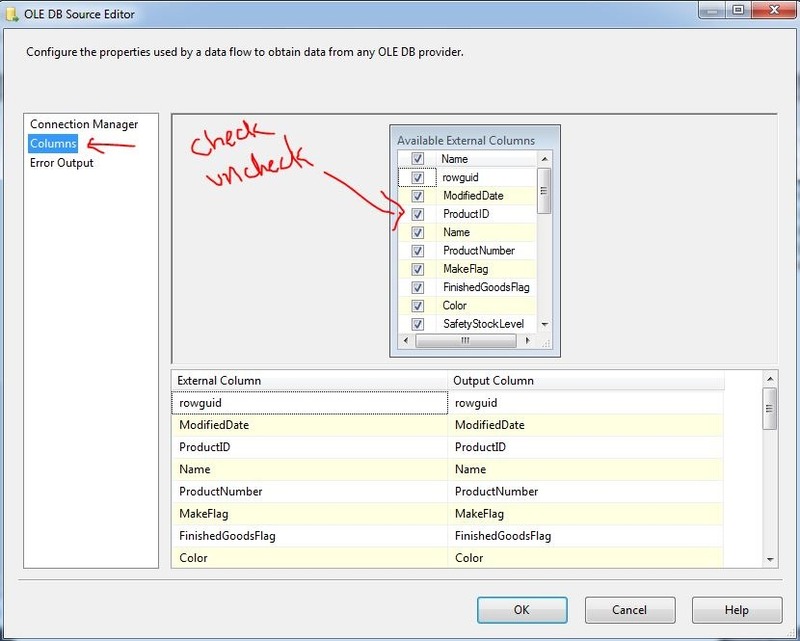 Welcome, back to Zero to Hero in SSIS series(Post #110). In last post #111 ,We gone through the WW (What & Why part) of SSIS in this post we will try to understand How to start SSIS ? 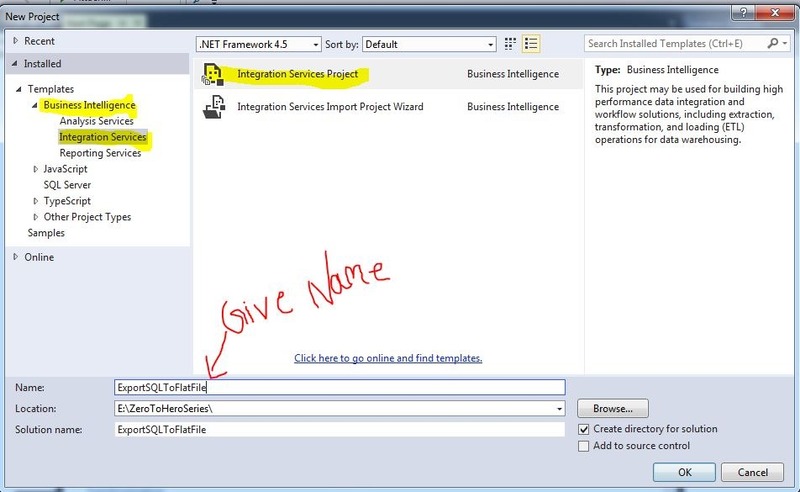 How to use SSIS tool ? 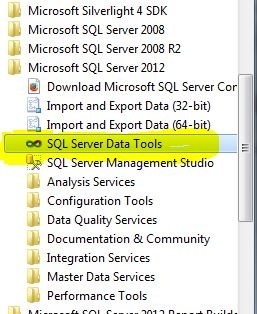 You can start SSIS with SQL Server Data Tools which you can find in Microsoft SQL SERVER 2012 folder in start menu. 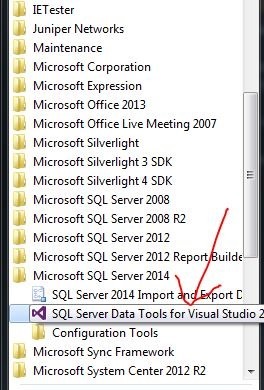 Here only the name is different but you will find same Visual Studio IDE when you click on this SQL SERVER data tools icon. Now, We can select any template and proceed further. In general we select “Integration Service Project” . 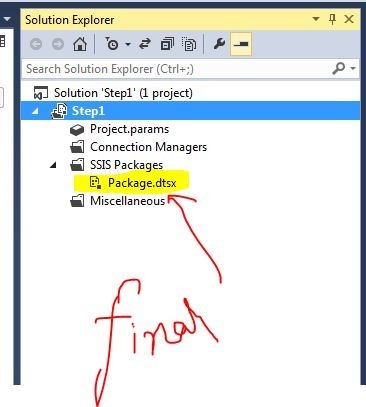 Here I am going to share some basic components when you try to create SSIS Project. Don’t bother if you don’t understand the definition of explanation given below. I know theoretically it might be hard but practically it is much much easier. 1) Control Flow :- Control Flow is one of the most important component. Think this as as a container which helps in workflow. If you see below image Control Flow is first tab. 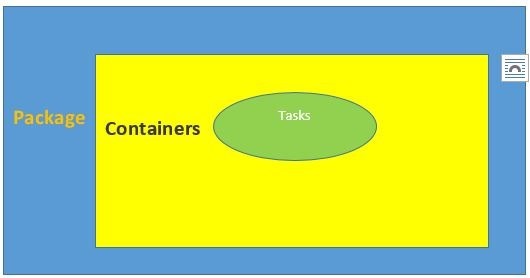 It might contain tasks or container. It is helpful in sequencing of task (where task can for loop, send mail, xml process,etc.) Below is container tools which we can use. 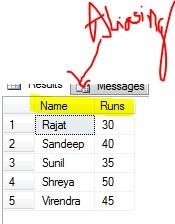 2) Data Flow Task :- Another most important component is Data Flow Task. As the name state it is a task in which data flow. Isn’t it simple ? A data flow is part of Control Flow Task. 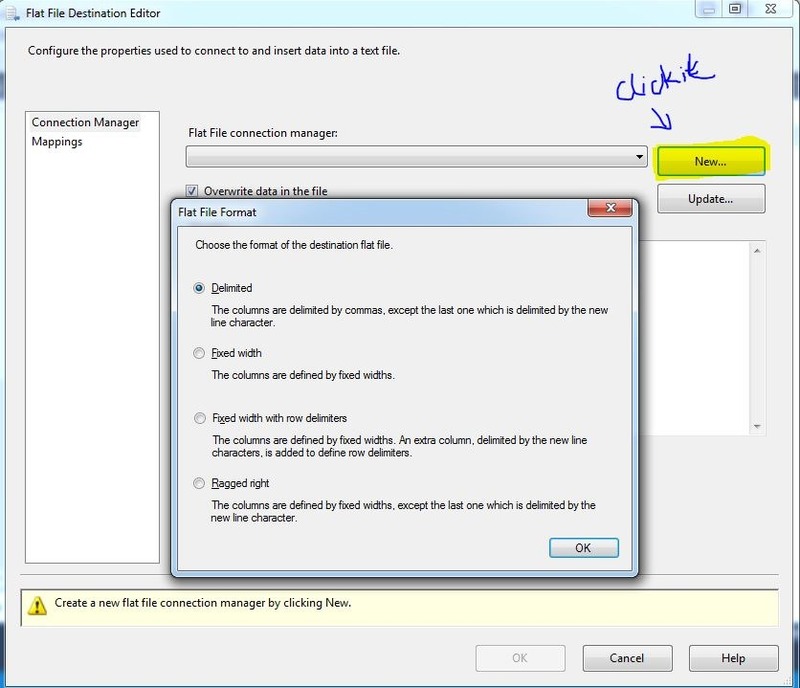 All the major operation can be accomplished with the help of data flow task controls. When you use DFT(Data flow task) you will get various option like Data Sources (from where we need to fetch data) ,Transformation controls( Operation control like aggregation, split etc.) 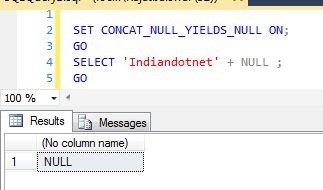 by which we can customize the data and last but not the least Destination in which format we need the data back like SQL Server, MYSQL, ORACLE etc. (We will discuss each DFT controls in detail in coming posts). Below is DFT tools which we will use later on. 3) Parameters:- I am sure you are aware of this parameters. Parameters are variables which help you in execution of your business logic (it might be possible you might require or not require.). Parameter has different scope and according to our need we will use and define the scope. not to worry about this as well right now. We will discuss and see practical use in coming posts. Below is the screen from which we can add parameters if required. 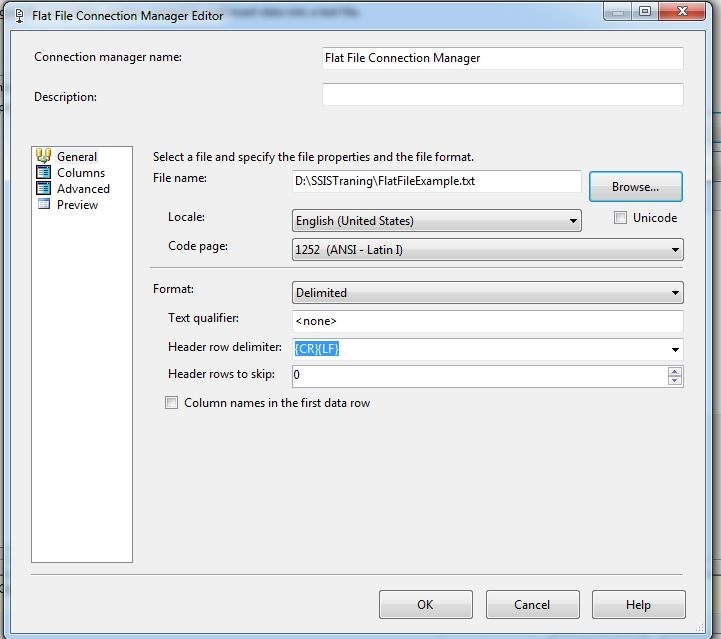 4) Event Handlers:- Event handler is the easy way to have control over your SSIS events. We can have different events like onError, onPostExectution etc. which give us liberty to improve the reliability ,monitoring and auditing of a package closely. We will surely going to do demo for this. 5) Package :- The final output of all the above core component is a Package. In other word Package is combination of various Control flow, Data flow tasks , parameters to achieve a ETL task. Earlier the extension of package was DTS and with latest version it is DTSX. 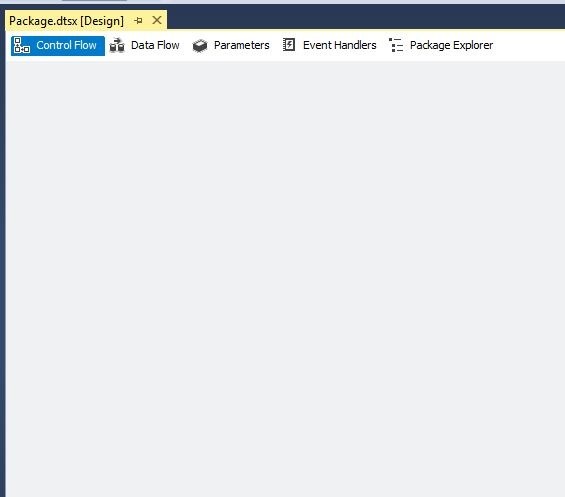 If someone ask you what you do with SSIS tool you can simply say we create Packages in which we use different control flow & task flow control and once it is completed we deploy the Package. The important point here is we create a Package and then execute it by deploying. Now in broader way if we envision it. Below picture might help you to understand it. In Next post we will go one step ahead. Please do provide your inputs what you are thinking so far ? As shared in last post Post #110, We are starting SSIS tutorial series ( A Step by Step SSIS learning tutorial) from today. 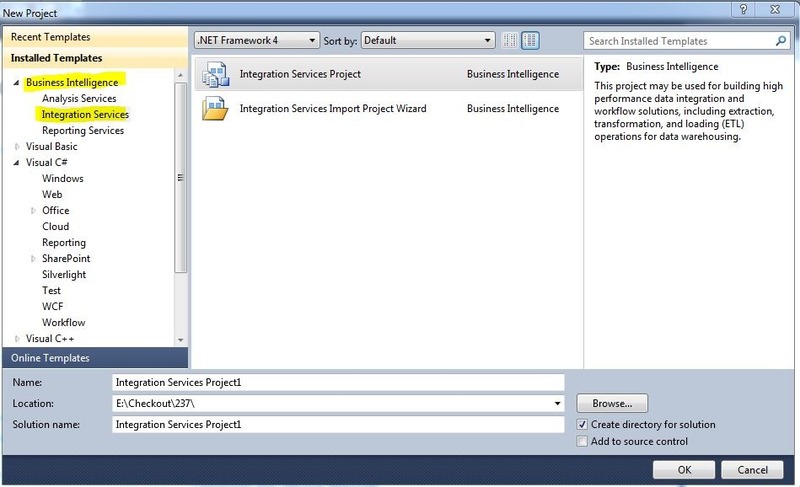 Before starting anything we might have some questions like What is SSIS ? Why SSIS ? 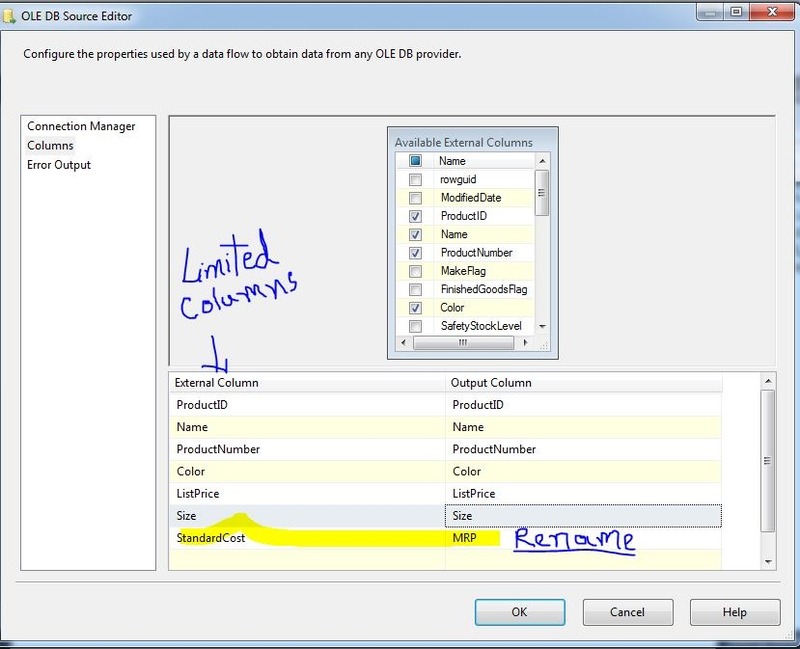 & How to use SSIS ? In general term I called this “WWH” What, why How ? 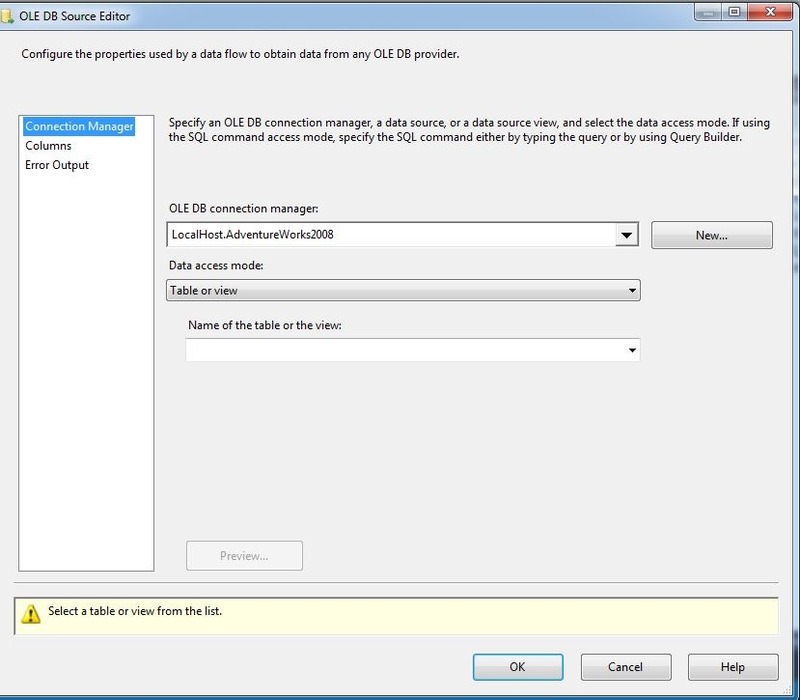 So, the straight forward answer is SSIS is SQL SERVER Integration Service (a Microsoft tool). It generally comes with SQL Server license. 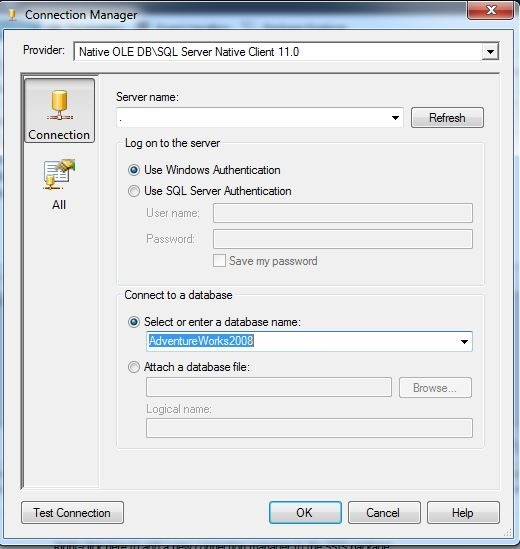 Although It is not always mandatory to have this SSIS tool with SQL Server license, You can install it standalone as well. 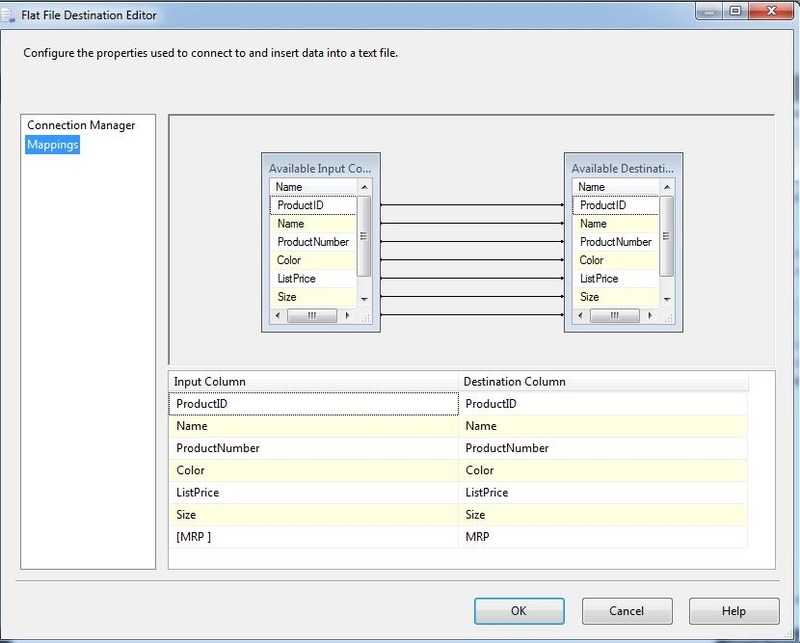 SSIS is a ETL (Extract Transform loading) tool. 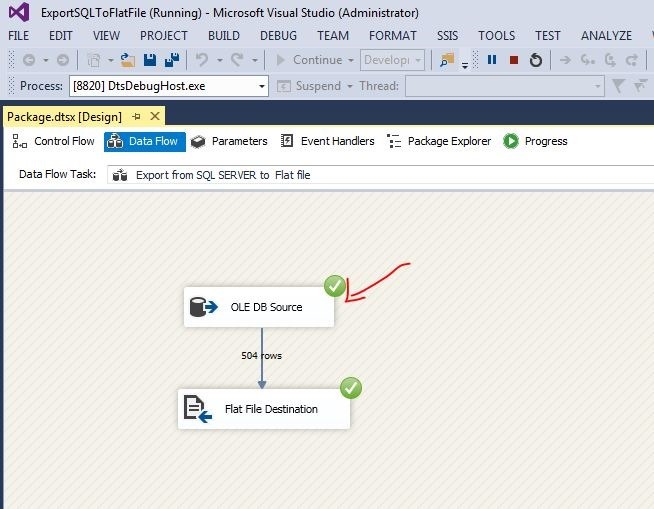 We can can use SSIS with IDE which provided by Microsoft. Now, I understand this is too straight forward and we are not able to digest easily. Let me explain it with an example. I am leaving in Indore a city reside in Madhaya pradesh a state in the heart of India. Suppose the Chief Minister of MP allocated some funds to Municipal corporation of each cities like Indore, Ujjain, Bhopal etc. to do whatever best they can do with money and make their city a better place. After few years The Chief Minister realized and thought let’s ask each cities how they utilized the money. What are the different areas on which they have work with the provided money. The chief minister wants consolidate reports (which we generally called MIS reports) as well as some detailed reports. Now, suppose different municipal corporations using different ways to restore data like Indore municipal corporation using Microsoft SQL SERVER, Bhopal municipal corporation using ORACLE, Ujjain’s municipal corporation using MYSQL, Devas municipal corporation using flat file system. So there might be different heterogeneous systems used to maintain the data and data would be on different verticals like Transportation (Road & Bridges), Water harvesting (River & tanks) ,Agriculture , lighting etc. To grab this entire data & consolidate them in one single database and providing the reports to Chief minister so that he can analyze which city doing progress , which city consuming money , how much work done in different vertical so that , he can take further decisions. 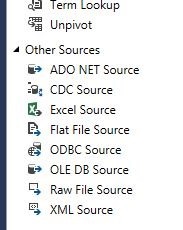 I hope you understand a big problem here which is gathering data from different heterogonous resource & compile them and provide a unique data base on which reports will create is a big task which can be easily done by an ETL (Extract Transform Loading) tool which is SQL SERVER Integration Service Tool. Load means prepare the data and provide final output. Below is the image which illustrate same thing which we discussed earlier in this post. 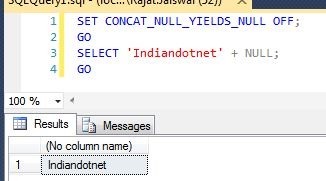 So , I hope you understand the SSIS (ETL) role here. 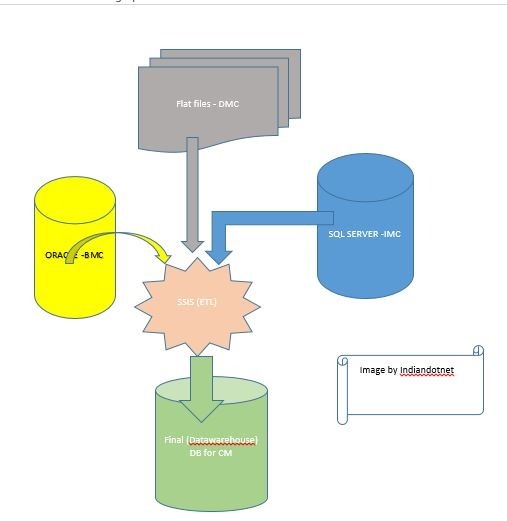 In this post we got 2 answers 1) What is SSIS ? 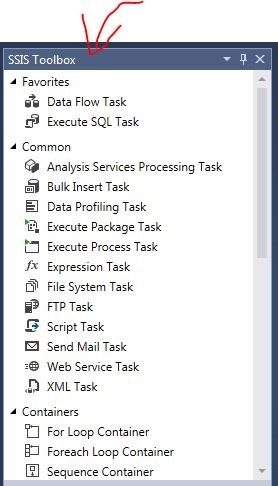 2) Why is SSIS? 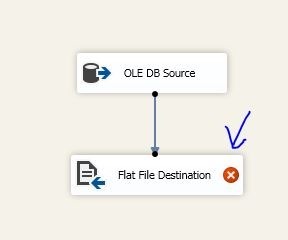 we will see How to use SSIS in next post.